I’ve mentioned before that I’d been training and losing weight (more accurately, attempting to lose weight) in preparation for a half-marathon in San Antonio on November 13. Well, the more-observant of you will have noticed that the big day was, indeed, this past weekend. So I picked up my race packet, laced up the shoes, and took my place at the starting line. Then, I ran. And I finished with a time that I never conceived was possible for me in a 13-mile race. There’s a very good explanation for that. I didn’t, it turns out, run a 13-mile race. It was … shorter. Like, 10 miles shorter. Yes, I skipped the half-marathon. 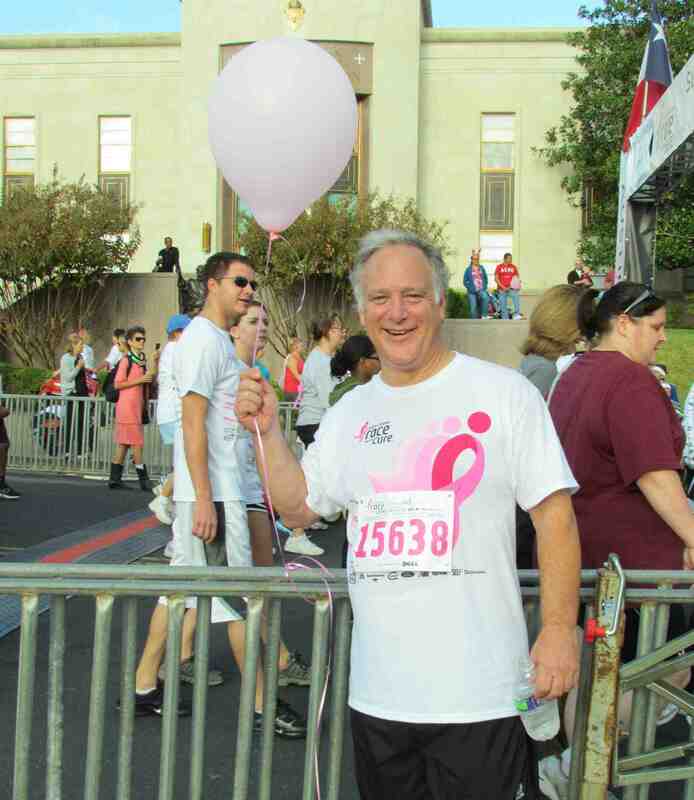 Instead, I gave my all for the Austin Susan G. Komen Race for the Cure, a 5k that has many benefits. First, it’s a ton of fun, with families, teams and individuals all taking part, and with a one-mile walking course to make sure everyone can participate. Second, it’s 10 miles shorter than a half-marathon, though I may have mentioned that. And third and most important, it’s for a great, great cause. Proceeds from the race and the pledged donations support breast cancer screenings, treatments and research. As you know, cancer research is one of the most critical issues in my life and my public service. So it was great spending Sunday running with thousands of folks who were so fired up for such an important effort. As you probably know, I’ve been working for years to make the state more honest and transparent about its budget. I even proposed an Honesty Agenda of legislation to open up the budget process, and several of those bills became law this year. Now, part of that agenda is online. Last week, a new state website went live with monthly updates on nearly two-dozen tax and other revenue sources. The site also compares those figures with estimates that were used to write the budget, meaning it can offer information about potential budget crises before they hit. I’ve been pushing a long time for that kind of information. In September 2010, I sent a letter to the state Comptroller requesting data about the budget shortfall we all knew was coming. The response, basically, was that Texas had to wait four months for these basic facts. In November 2010, I unveiled the Honesty Agenda, a package of bills that (among other things) would have required the Comptroller to post monthly updates on state revenue. Then, in April, the Comptroller and I jointly announced budget transparency reforms that included the creation of the revenue website. Now, the site’s finally up. As I said Thursday, all of us need to know as much as we can about the state’s fiscal condition, particularly now. This Revenue Watch website will help us prepare for budget problems before they strike in a legislative session. I hope to work more – with the Comptroller and others in control of our treacherous budget situation – to make the state more transparent about its budget and finances. Also last week, we had the first meeting of the organizing committee I’ve put together to help build a medical school, health science center and teaching hospital in Austin. It was a great meeting. The group adopted a Mission Statement (which you can see here) along with what I call a Decision Tree, a series of questions that will illuminate how we’ll create these essential new resources. 1. What’s the passion to do the project? Why do it? What’s the big vision? The Mission Statement we adopted speaks to this item. 2. What are the possibilities? What are our strengths and weaknesses in trying to achieve something? What are the opportunities and threats to getting it done? What are all of the things we could possibly get out of it? If we could wave a magic wand, what would we create? 3. What’s practical? What can we actually achieve given limitations such as resources or time? How do we implement magic-wand solutions in a practical world? 4. What’s the plan? Step-by-step, how do we actually bring about all of the practical parts, and what’s the timeline for doing it? 5. Who are the people involved? Who needs to be at the table in completing our goal? Who’s going to be accountable for carrying it out? I feel like we’re already well on our way in step #2 and heading fast into #3. With this process, including the Decision Tree, the community can be sure that everyone’s asking the hard questions and asking the same questions, and the very diverse group on the organizing committee (click here to see who’s on it) can know we’re working from the same answers. I’ve also started blasting out news clippings and other information about medical education in Central Texas and in general, as well as updates about this effort. If you want to be on the list, just email me at kirk.watson@senate.state.tx.us. I must say, I’m enormously encouraged by the progress we’ve made, and I’m more confident than ever that we’ll get where we need to go. 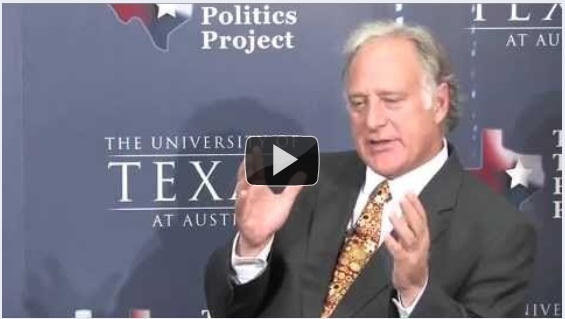 For more, check out this video of my interview this month about the medical school with Dr. James Henson, director of the Texas Politics Project at UT. Finally, I need to talk about Proposition 8, the proposed constitutional amendment that would have implemented my Water Stewardship bill from the last legislative session. As you may know, Prop 8 didn’t pass in last week’s constitutional election, even though it cleared both chambers of the legislature unanimously and won the endorsement of more than 30 newspapers around the state. The amendment would have allowed landowners to receive a property tax incentive if they managed their property in specific ways that conserved water or improved water quality. The bill wouldn’t have cost the state money; it simply would have encouraged better stewardship of Texas’ water. Unfortunately, I don’t think that was made clear to voters. As I said last week, the ballot language was quite confusing, and there’s no question that played a role in the election outcome. But I think there’s a deeper issue to consider. Most folks know that Texas is in a drought right now. But those in control of our state aren’t revealing they understand just how serious it is. The drought has already caused billions of dollars in losses, contributed to devastating wildfires, and forced some water providers to at least consider harsh conservation measures. Worse still, even though our state water plan outlines how to secure a clean water supply for our children and grandchildren, those in control of the state haven’t declared how they’ll pay for the tens of billions of dollars in projects that the plan calls for. So securing our water supply will require more than just cost-effective, innovative mechanisms (such as, frankly, the Water Stewardship legislation). It also demands major public investments – and the public commitment that goes with them. So I’m not giving up on the Water Stewardship bill. Instead, I’m going to keep working hard to show why we need that and everything else. And all of us who care about Texas’ future must make sure voters know not just what this constitutional amendment would have done, but also what the needs of the state are – and what will happen to us, and those coming after us, if we don’t meet those needs.